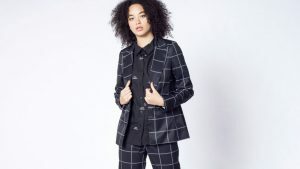 Wildfang, a fiercely feminist, queer-friendly clothing line based in Portland, Oregon, is staging a pop-up in Los Angeles this week. While the indie brand has always emblazoned its items with political slogans, it was one limited-edition jacket that made national headlines in June. When Melania Trump wore her infamous “I Really Don’t Care, Do U?” jacket, the team at Wildfang sprang into action to respond. 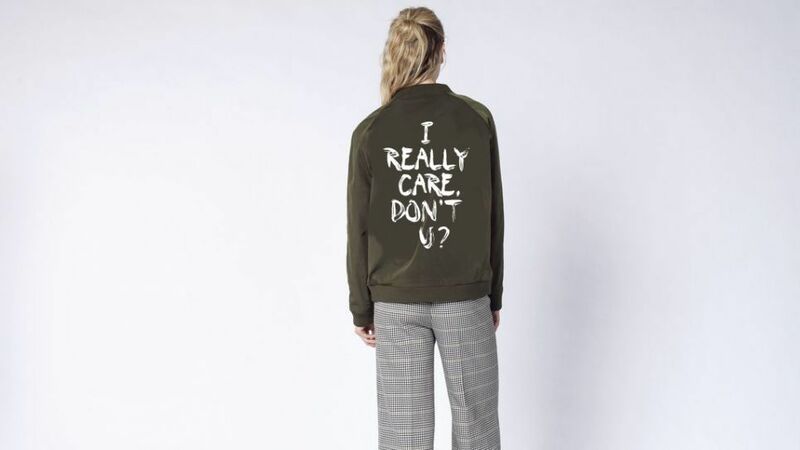 Within 24 hours, a collection of tees and a green bomber jacket were up on the brand’s website with an alternative slogan: “I Really Care, Don’t U?” All proceeds from the items went to the Refugee and Immigrant Center for Education and Legal Services. “Within a few hours, we decided as a team we wanted to do something,” Wildfang founder Emma Mcilroy told THEM. “This could not go unnoticed, so we put our heads together and went with impact.” Their first run of the jacket sold out in an hour, and a second edition sold out a day later, resulting in a $300,000 donation to RAICES. You won’t be able to buy that particular jacket at the pop-up shop, but Wildfang makes plenty of other items with empowering messages. 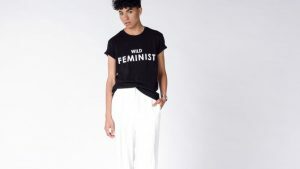 There are tees for when you want to tell the world you’re a “Wild Feminist”–or that what you are is “None of Your Business.” The self-identified “tomboys” behind the brand are also the masters of the whole fun patterned button-up concept, with every design from cacti to pizza to cats playing with bananas, and so-cool takes on classic tailoring (which they call “empower suits”). On the closing night of the pop-up shop’s run, August 2, Mcilroy, Nelson, and founder of Friends at Work, Ty Stiklorius, will present a panel conversation about social impact-driven business, discussing how entrepreneurs can build support for underrepresented populations into their companies. The event is free and open to the public, with advance registration online. The Wildfang L.A. Pop-Up Shop runs from 10 a.m. to 4 p.m. daily, from July 30 through August 2 at the Riveter West L.A., 2236 South Barrington Avenue, Los Angeles.